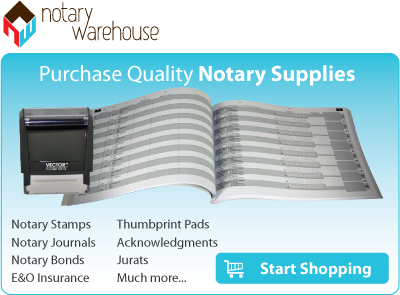 State Law requires the completion of an approved 6-hour course in order to become a California Notary Public. Purchase this 6-hour, state-approved California notary course and receive your unique registration code to get started online. The course can be completed on-line at your leisure and includes a required 60-question, 60-minute practice exam. After successfully completing the course, you will receive the Proof of Completion certificate, which must be taken to the official testing center, along with the notary application. This is a self-study course that will intuitively guide the notary student through the functions and duties of a California notary public. IMPORTANT: A valid CA Drivers License is REQUIRED for this course. Purchase this 3-hour, state-approved California notary course and receive your unique registration code to get started online. The course can be completed on-line at your leisure and includes a required 30-question, 30-minute practice exam. After successfully completing the course, you will receive the Proof of Completion certificate, which must be taken to the official testing center, along with the notary application. You can only take this 3-hour refresher course if you were previously commissioned after successfully completing any 6-hour course.